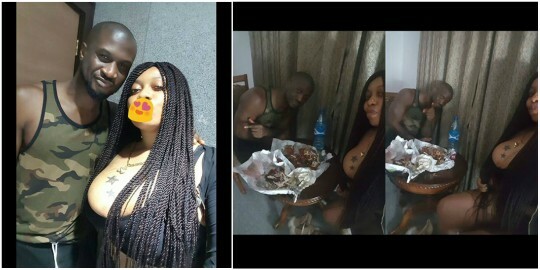 A social media user, identified as Jessica Nwachukwu has gone viral after she shared photos from her ‘night of fun’ with Peter Okoye of the P-square duo.. According to Jessica, who shared a photo in which she shared Suya with the singer in his hotel room, the photos were taken after a concert in Owerri, Imo state. The lady also claimed to have had a ‘night of fun’..